All to Pdf Converter 3000 is the most powerful PDF creator which can free batch convert any document like Word, Excel, PowerPoint, Text, RTF, image, JPEG, TIFF, GIF, HTML, Webpage of internet etc to PDF. The conversion speed is very fast and the quality is extremely excellent with preserve the original content, layout etc. Our mandate is to provide PDF conversions to all levels of users, the easy-to-use interface only allows you to create searchable PDF files by simply click "Convert" button. It supports convert various documents, such as pdf, doc, docx, docm, xls, xlsx, xlsm, ppt, pptx, pptm, rtf, txt, html, htm, url and any type of images files jpg, jpeg, bmp, gif, tif, wmf, emf etc to personalized pdf document. It is a standalone program which does not need any software support, such as Adobe Acrobat, Acrobat Reader etc. Create PDF file from any document and image with three modes (default mode, image mode, text mode) for a better result. Merge multiple images to one single PDF without losing original style etc. Convert all pages of one multi-page PowerPoint, TIFF to one single PDF. Convert each page of TIFF/PPT to one single PDF file. Directly convert webpage of internet or local html to PDF. More, extract the URL from some character strings automatically to add to the converted list for conversion. Support convert each page of Word to one single PDF. 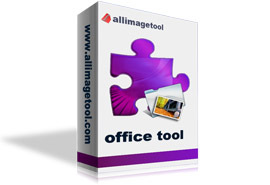 Support nearly any office document, text, rtf, html, webpage of internet, image, etc to convert to PDF. Provide two modes (directly convert url or extract directly url from character strings) to convert to PDF.